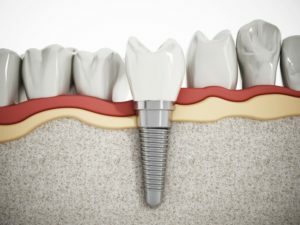 Dental implants are one of the very best ways to replace teeth because they work to replace a tooth from the root to the crown. Your smile isn’t all that meets the eye. There are very important parts of your smile that reside below the gum line, so it’s important to replace both parts for the longest-lasting solution. Implant dentistry is a practice in dentistry that requires a high level of skill and deep understanding of the mouth—and not just what’s visible. Your dentist should be familiar with the inner workings of your mouth and what’s below the gum line as much as they are able to evaluate the outside of your mouth. This is especially true with the more complex of cases. Choosing a highly experienced dentist will help to ensure that your dental implant placement will be successful. By searching online or calling the office directly, you can find out how long the doctor has been practicing. Have you got a second opinion? If you are unsure of the dentist that you want to work on replacing your teeth, you should ask for another professional’s opinion. You can call around to other offices and see who they would recommend. Many regular practices work hand in hand with dental specialties like oral surgeons or periodontists to help their patients receive only the best dental work and care. These days, it is easy to find out what current and previous patients have to say about any dentist or specialist. Take aw few moments to read reviews either on the web or on their website directly. You’ll be able to see if past patients are satisfied with their care, their customer service, and much more! After running through these quick questions, your decision should be a whole lot easier to make when you’re considering replacing your teeth with a sufficient implant dentist. Here at Laith Family Dentistry, we work to restore teeth and implants right here in San Antonio. You won’t have to travel far to find an expert dentist to complete your complex dental work! We’re right here for you every step of the way. If you would like to discuss your possible procedure first, we invite you to schedule a consultation with one of our expert dentists.